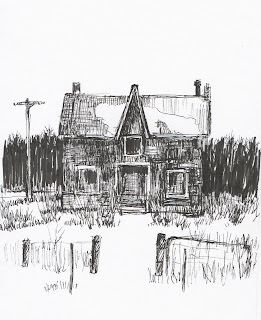 Several times in the past, I have challenged myself to try doing one drawing a day for a set period of time. My efforts usually last a couple of days, and then I get too lazy, or I get distracted and break the chain, or I find some excuse not to. I have decided to revive this challenge for myself, see if I can do one drawing a day for the next week or so. 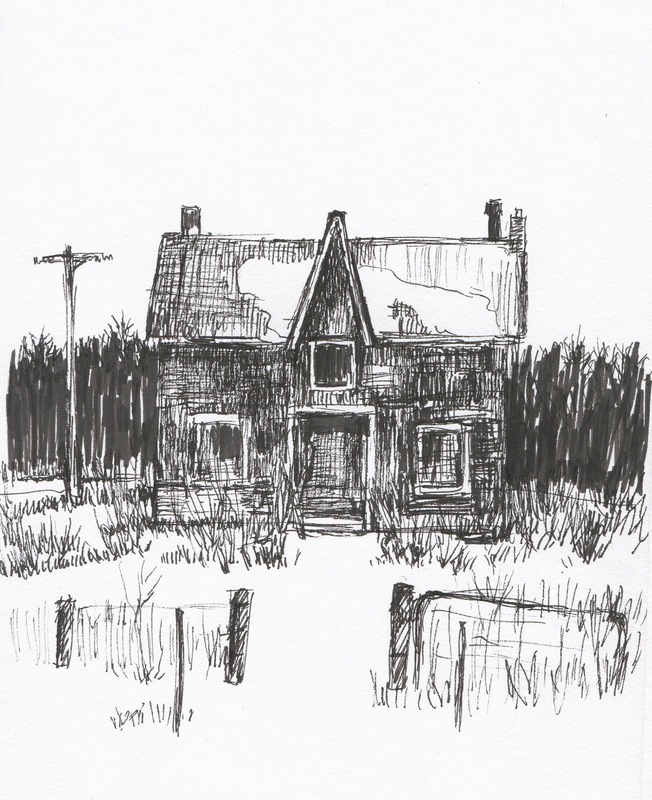 Here is my first little drawing, from a beautiful photograph of an abandoned farmhouse. It was lots of fun! Sounds like a great plan. Then you can have a show. The old houses were so small - hard to imagine that whole families lived through winters in them.